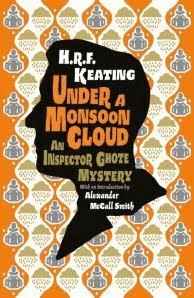 H(arry) R F Keating crime fiction author best known for his Inspector Ghote mysteries has died at the age of 84. Harry as he was known was Chairman of the Crime Writers Association from 1970-1971. 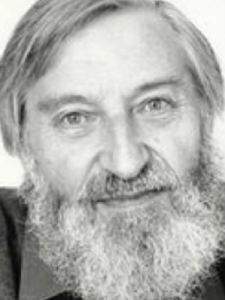 He was also Chairman of the Society of Authors between 1983 and 1984, President of the Detection Club 1985 –2000 and a Fellow of the Royal Society of Literature. He was for 15 years crime fiction critic for The Times. He has written over 50 books. Whilst he was best known for his Inspector Ghote mysteries he wrote his first novel Death and the Visiting Firemen in 1959. He also wrote a number of standalone novels as well as two other series featuring Detective Superintendent Harriet Martens and the “Detective” series, which were several novels about UK police detectives, whose human weaknesses adversely affect their work. Under the pseudonym Evelyn Hervey, Harry Keating wrote three novels in the mid eighties. 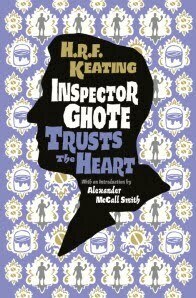 Harry wrote 26 books in the Inspector Ghote series. 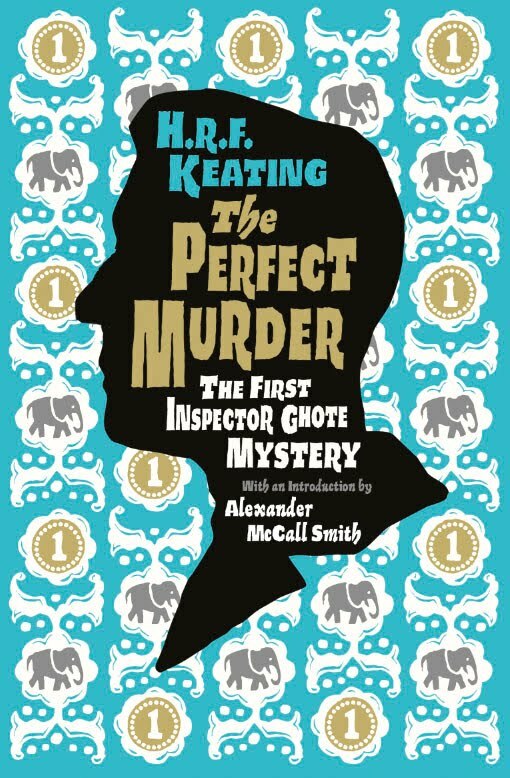 The first one in the series was The Perfect Murder whilst the last Inspector Ghote book is A Small Case for Inspector Ghote. 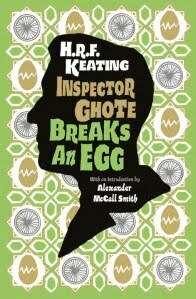 Penguin are due to release in May 2011 as part of Penguin Modern Classics four Inspector Ghote Books (The Pefect Murder, Inspector Ghote Breaks an Egg, Inspector Ghote Trusts the Heart and Under a Monsoon Cloud) in new classic covers. These titles carry a new introduction by Alexander McCall Smith. In 1988, The Perfect Murder was adapted for a film, directed by Zafar Hai and produced by Ismail Merchant. Neil Simon turned his 1976 novel Murder by Death into a film featuring Truman Capote, Peter Falk, Alec Guinness, David Niven, Peter Sellers and Maggie Smith. Harry also edited a number of anthologies including The Man Who…. in 1992 which was an anthology of crime stories commissioned by the Detection Club in celebration of Julian Symons’s 80th birthday. In celebration of his 80th birthday the Detection Club collaborated and produced an anthology entitled The Verdict of Us All. As well as being a novelist he also wrote screenplays, was a reviewer and wrote a biography of Dame Agatha Christie entitled Agatha Christie: First Lady of Crime. He also wrote a number of well-known non-fiction novels on crime fiction. A number of them have become required reading as reference works. He also won two CWA Gold Dagger awards one was for The Perfect Murder for best novel and the other was for a non-Ghote novel set in India, The Murder of the Maharajah. He also won a special Edgar Award from the Mystery Writers of America. In 1995 he was awarded the George N Dove for Contributions to the study of Crime Fiction and in 1996 he was awarded the Diamond Dagger from the CWA for lifetime achievement. Malice Domestic also awarded him the lifetime achievement award. An obituary by Mike Ripley can be found in the Guardian and the Telegraph obituary can be found here. Mike Ripley’s feature on Harry Keating for Shots ezine can be found here. So anyway I’m smiling at this beautiful young woman and she’s kind of half-smiling back in that way that says, “I haven’t a clue who you are but you look vaguely familiar and I hope you’re just being friendly and don’t misinterpret my half-smile.” Well, okay, maybe I’m reading too much into what is, after all, only a half-smile. But I’m smiling at her because in fact I do know exactly who she is and she, in theory, knows who I am. We’ve done a couple of events together, after all. However the context is unusual. 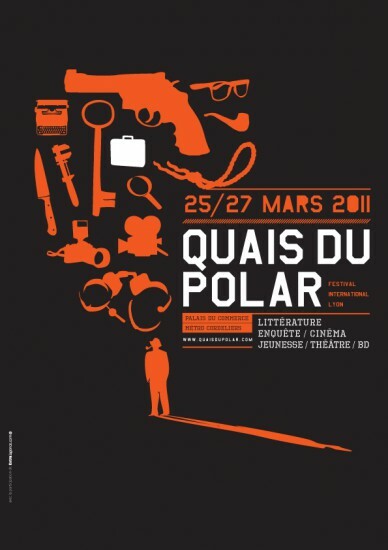 We’re in an ornate reception room in the Beaux-Arts Museum in Lyon, France to celebrate the opening of Quais de Polar, the biggest crime fiction and film festival in continental Europe. John Harvey is over in the corner with his French publisher, Roger Ellory is somewhere around, though I can’t see him in the scrum of people in here. David Peace and Peter Robinson are arriving late. They’re about to award the prize for best crime novel of the year. Declan Hughes wins – go, Declan! – but he’s not here to collect it. Always a disappointment when that happens, especially as whoever it is who collects it on his behalf is a bit gabby. Which in a language you only understand in part translates into very gabby. I’m here for an event about international crime festivals on behalf of Bristol Crimefest. On my panel there are people from Liege, Belgium and a place in Italy I can’t spell without looking it up. There is simultaneous translation through earphones for us. This is discombobulating, especially as my set goes haywire - I think because the Italian guy sitting next to me is texting and checking his phone messages throughout the event, hiding his phone behind his name-card. So I lose about ten minutes of the conversation. But that doesn’t matter because we’re all being pretty boring and the chairwoman does most of the talking anyway – don’t get me started about chairing at festivals – and anyway there are more people on the panel, if you include the translators, than there are in the audience. Turns out the Italian guy (I can’t remember his name, if you think me calling him that is a bit rude – although as I can’t remember the name of his festival either it probably is very rude) works on his festival with our own Maxim Jakubowski and Adrian Wootton. Peter Robinson does his thing at two; John Harvey is done and dusted. Roger Ellory has two events lined up so he’s still working hard. There’s a big dinner tonight. I’m in two minds. My French isn’t good enough to handle any kind of intelligent conversation and I feel bad, therefore, that people out of politeness need to tire their brains speaking English to me. Plus, Lyon is such a great city to wander around in the evening. Roman remains to die for. Which people probably did. It was S J Parris, in case you’re wondering. Goldsboro Books will be hosting what will be one of the best literary events this summer. 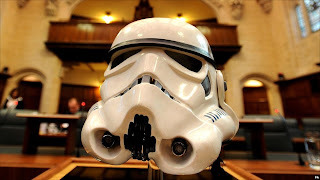 On 21 June they will be hosting “Crime in the Court”, the court of course being Cecil Court where they have recently moved into bigger premises. The event is being held to coincide with Independent Booksellers week and the plan is for it to be an annual event. For lovers of the genre this will be a most welcome event. Since the demise of Crime Scene there has not been any event for sometime in London where crime writers have been able to gather and spend time chatting with fans on a social basis and informally. There will be a large number of authors attending and these include authors such as David Hewson, Ann Cleeves, S J Bolton, Paul Doherty, Adrian Magson, Matt Hilton, M R Hall, Christopher Fowler, S J Parrish, Michael Ridpath, S J Toyne and William Ryan to name a few. More authors are being confirmed. Information as to how to obtain tickets for the event can be found here. This is an event that is not to be missed. Make the most of the opportunity and come and meet some of the best crime writers published in the UK. It will be an event to be remember! Hodder and Stoughton arranged for a preview screening of the ITV commissioned two part drama based on a novel by the award-winning author Sophie Hannah. The two-part drama, Case Sensitive, is based on the highly acclaimed and chilling psychological suspense novel Point of Rescue from Sophie Hannah. Case Sensitive stars OLIVIA WILLIAMS (The Ghost, Dollhouse, An Education, The Sixth Sense, Rushmore) in the lead role of DS Charlie Zailer and DARREN BOYD (Whites, Personal Affairs, Little Dorrit, Green Wing) as DC Simon Waterhouse. They are joined by RUPERT GRAVES (Garrow’s Law, Single Father, Sherlock), RALPH INESON (Waterloo Road, The Bill, The Office), and AMY BETH HAYES (Secret Diary of a Call Girl, Whatever it Takes, Misfits). Case Sensitive is a story, which explores themes of identity, guilt and family strife. The 2 x 60 min drama has been adapted for ITV by Hat Trick Productions. When Geraldine Bretherick and her 5-year-old daughter Lucy are found dead in the bathroom of their luxury home, the case divides new DS Charlie Zailer and her DC Simon Waterhouse. Is it murder, suicide or something even more sinister, and how watertight is the alibi of the husband Mark? 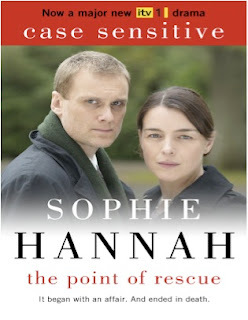 ITV ‘s two-part dramatisation of Point of Rescue will be broadcast on May 2nd & 3rd under the series title Case Sensitive. The adaptation is excellent and well worth seeing. There are some stunning performances from all the cast but especially from Olivia Williams who plays DS Charlie Zailer and Amy Beth Hayes. Case Sensitive was directed by Charles Martin who has directed such programmes such as Skins and Being Human. Case Sensitive is certainly worth not only sitting down to watch but also taping. BBC Worldwide are responsible for international distribution. The Crime Writers’ Association (CWA) is continuing with preparations for its successful week of events celebrating crime writing. 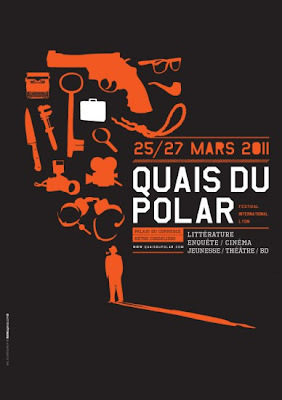 National Crime Writing Week, formerly National Crime Fiction Week, will run between June 13 and 19, 2011. The name change is designed to increase the emphasis on non-fiction as well as fiction. During the week, members of the CWA will take part in readings, discussions, readers’ group events and workshops in bookshops, libraries, arts centres and other venues all over the country. CWA Chair Tom Harper said: “Our aim is always to raise the profile of crime writing and it worked during the inaugural event last year. The signs are that it will do so again with lots of writers already planning events. 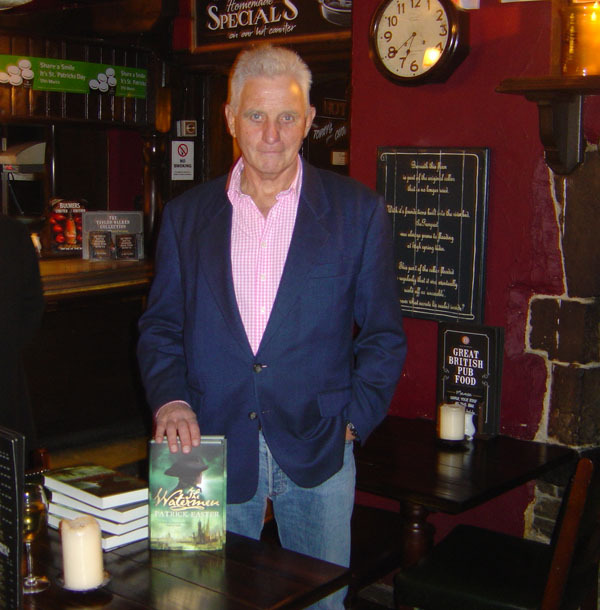 Quercus pushed the boat out to launch a new historical series by ex-policeman Patrick Easter in the appropriate surroundings of The Prospect of Whitby - a pub in London's once-notorious area of Wapping. This new series of books introduces the character of Tom Pascoe, a River Surveyor with the Marine Police in the Port of London at the end of the 18th Century and deals with its first six months of existence. At the tender age of 19 Patrick joined the Metropolitan Police in London and three years later went onto the river. 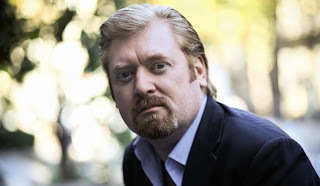 On leaving the police service in 1994, Patrick became a journalist chasing deadlines for technical magazines and articles in national newspaper. The Watermen (pub 31/03/2011 Quercus) is his first novel. Those supporting the launch included Marcel Berlins (The Times), Barry Forshaw (Crime Time), Chris Simmons (Crimesquad), Mark Sanderson (The Evening Standard), Jane Wood (Patrick's editor), Lucy Ramsey, Ron Beard - all from Quercus Publishers, Laura Wilson (The Guardian), Ayo Onatade and Mike Stotter of SHOTS, and agent Oliver Munson of Blake Friedman. The event will also be reported in The East End Advertiser nearer the publication date. Photos taken that night can be see in the PHOTO GALLERY. Brilliant date for your diary! 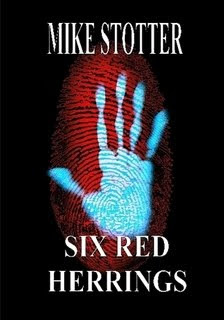 For those of you that would like the opportunity to spend time with some brilliant crime writers then you will need to put the 23 June 2011 in your diary. Goldsboro Books are having the first of what is hoped is many “Crime in the Court”. The court of course is Cecil Court in London. It is going to be a wonderful occasion. CBS have, what is said to be the last interview with John Le Carre which can be seen below. There is an excellent Val Mcdermid interview by Gerald O’Donovan in the Telegraph on why Irish crime fiction is all the rage. If you did not manage to listen to the BBC Radio 4 documentary that Val McDermid recently did then the article will make up for it. There is also a brief article that talks about the BBC Radio 4 programme as well. Gerald O’Donovan has also selected his six favourite Irish crime books of recent years. The authors he picked are Declan Hughes, Brian McGilloway, Ken Bruen, Gene Kerrigan, Stuart Neville and Tana French. But you need to read the article to find out which of the author’s books he chose and why? Fans of Raymond Chandler and Ian Fleming will be interested to listen to the conversation that took place between these two great authors. In a 25 minute audio conversation recorded by the BBC in 1958 the two authors talk about villains real and imagined as well as their iconic and well loved characters. Ian Fleming Talks to Raymond Chandler 1958 from 33hirtz on Vimeo. For those who are wondering who are considered to be the top 10 European crime writers, then you should have a look at the pictorial in the Observer. A really interesting post on the Do Some Damage blog about crime books set in Montreal. With International Women’s Day just gone Daniel Craig and Dame Judi Dench reprise their roles from the last two James Bond films — with a twist to celebrate the 100th anniversary of International Women’s Day. Enjoy! Congratulations go to author Carl Hiaasen who according to the Miami Herald has been awarded the 2011 Florida Lifetime Achievement Award for Writing from the Florida Humanities Council. The full article can be found here. As an advocate of literacy promotion; I have been hugly impressed by the Galaxy Quick Reads initiative, where bestselling writers publish a novella in the ‘quick reads’ format at a cost of £1.99 [though I did notice the latest batch on sale at a UK supermarket were discounted to £1.50]. The latest batch of Quick Reads were released last week to coincide with World Book Day and World Book Night. So what is the Quick Reads Initiative all about? "Over a third of the adult population admit to not having the time or inclination to read for pleasure in their busy lives. Many struggle to finish a book or do not have the confidence or skills to think about reading one. Quick Reads are written and published to help adults to improve their literacy skills and discover a love of reading and books." "Over the past six years we have witnessed the remarkable impact Quick Reads have had on the lives of thousands of new readers. Many, who before were nervous of books and had to hide the fact they found reading and writing difficult, have go on to read other books and become more confident in themselves, at work and in helping their children with school work. The number of businesses across the country who use Quick Reads are testament to how effective these books are and their investment in improving the literacy skills of their workforce is to be applauded." Amongst the latest batch of ‘Quick Read’ books, is a real treat from the Canadian Thriller Writer Linwood Barclay. His ‘Clouded Vision’ tale, features one of the minor characters from Linwood’s breakout novel ‘No Time For Goodbye’. I was astounded by that novel, which was the biggest selling work of fiction in 2008 [in the UK], selling close to 1 Million copies, and launched his literary career, which just goes from strength to strength. If you are not in the UK, fear not as this chilly little morality tale can be downloaded as an eBook here or from many other UK retailers. The reason why I loved ‘Clouded Vision’ so much is because it is a ‘perfect storm’ for this reader, combining several story elements to make a satisfying but very chilly and disturbing read. Firstly I love the novella as a format, due to the requirement to tell a tale with an economy of style and time. Stephen King has always lauded the ‘Novella’ format, and many of his greatest works are in Novella / Short Story format. Thirdly, I’m a real sucker for E.C. Comics, from the 1950’s especially the crime / horror morality tales and their sense of Grand Guignol; something that ‘Clouded Vision’ shares, with its gruesome opening, and the pivotal scenes of horror and the twisted morality of the protagonists at its climax. ‘Clouded Vision’ reminded me of the conventions [and economic style] of the pulp tradition, and for something you can read in less than an hour, it was wonderful. Keisha Ceylon is a psychic. At least, that's what she passes herself off as. The truth is, Keisha's real powers have more to do with separating troubled families from their money than actually seeing into the netherworld. Keisha watches the news for stories of missing family members. She gives it a few days, then moves in, tells these families she's had a vision, that she may have some clue to where these missing people are. And by the way, she charges for this service, and likes to see the money up front. Keisha's latest mark is a man whose wife disappeared a week ago. She's seen him on TV, pleading for his wife to come home, or, if she's been abducted, pleading with whoever took her to let her go. Keisha knows a payoff when she sees one. So she pays a visit to our troubled husband, tells him her vision. Trouble is, her vision just happens to be close enough to the truth that it leaves this man rattled. And it may very well leave Keisha dead. “Shots Men Mike Stotter and Ali Karim flank the UK’s No. 1 Thriller Writer Linwood Barclay”. Eagle-Eyed Janet Rudolph kindly let me know last night that one of the most generous and decent authors in the mystery genre, has finally made the Times [UK] Book chart for the very first time with ‘Bury Your Dead’. I am of course referring to the Canadian Author Louise Penny, who has released her 6th novel featuring Chief Inspector Armand Gamache, which incidentally has been nominated for the Agatha, Barry and Dilys Awards. Considering her 5th Novel ‘The Brutal Telling’ won the Anthony Award at Bouchercon San Francisco last year, we’re so pleased for this talented writer getting commercial recognition [as well as critical acclaim] for her chilly novels that haunt the mind like a Canadian winter. I recall Louise Penny being a runner-up for the CWA Debut Dagger Award in 2004. Her entry ‘Still Life’ was highly commended and missed taking the Debut Dagger ‘by only a whisker.' This resulted in her getting ‘Still Life’ into print. I recall first meeting Louise at the launch of Still Life at the Canadian Embassy in London on the 7th February 2005. Her generous nature is well known as in 2009 she personally sponsored the John Creasey (New Blood) Dagger. The Crime Writers' Association Chair [at that time], Margaret Murphy, said: "We are delighted that Louise has agreed to sponsor this award. I know that she valued the help that the award gave to her writing career. It is a tremendous gesture and one that is deeply appreciated by the CWA." As Quebec City shivers in the grip of winter, its ancient stone walls cracking in the cold, Chief Inspector Armand Gamache plunges into the strangest case of his celebrated career. A man has been brutally murdered in one of the city's oldest buildings - a library where the English citizens of Quebec safeguard their history. And the death opens a door into the past, exposing a mystery that has lain dormant for centuries ...a mystery Gamache must solve if he's to catch a present-day killer. Steeped in luscious atmosphere, brimming with the suspense and wit that have earned Louise Penny a massive global following, Bury Your Dead is the most ingenious suspense novel of the year. Time to start saving your pennies, because if you’ve not experienced Louise Penny’s Detective Chief Inspector Armand Gamache, it’s time you did. 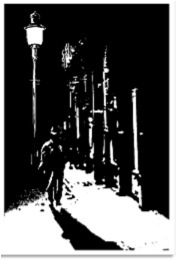 Interested in writing an article on London Mysteries? Janet Rudolph the editor of the well-known mystery readers international journal – Mystery Readers Journal is looking for contributors. 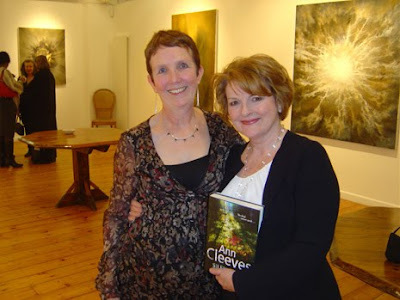 The launch of Ann Cleeves new book Silent Voices took place on Monday 28 February at the October Gallery in Central London. Amongst those to join Ann were Brenda Blethyn OBE (who is soon to be seen as Vera, in the ITV adaptation of Ann’s Vera Stanhope police procedurals), the editorial team from SHOTS, Michael Carlson, Chris Simmons from Crimesquad, Barry Forshaw, NJ Cooper and TV director Peter Hoar. Goldsboro Books provided the hardback editions for signing. Ann’s publisher Pan Macmillan provided various cheeses, biscuits and gin from the Wylam Brewery Ltd. Which went down rather well and if you want to know more email: admin@wylambrewery.co.uk. We were also treated to music from Ribbon Road a Northumberland folk band. After a short introduction from Macmillan editor Julie Crisp, Ann read a brief passage from Silent Voices. Having whetted out appetite we were led back into the main gallery for a sneak (but short) preview to the opening sequence of Vera which is slated for transmission on ITV in May 2011. Ann said of the adaptation: “I’m absolutely delighted. It’s a really good script and the director has kept the spirit of my central character. “We were determined it was filmed in the North East because it’s important for the filming and cultural scene in the region. “A couple of scenes are filmed in Whitley Bay and I hope it will provide work for the local people. “It’s fantastic to have Brenda Blethyn involved too. We also have a very good director. Julie Armstrong (Gina McKee) arrives home from a rare night out in Newcastle with boyfriend Gary Wright (Neil Armstrong) to find her son murdered. Luke (Sam Fender) has been strangled, laid out in a bath of water and covered with wild flowers while his sister, Laura (Gabrielle Ross), sleeps silently in the house. This stylised murder scene has Chief Inspector Vera Stanhope (Brenda Blethyn) and Sergeant Joe Ashworth (David Leon) intrigued. A second body of beautiful young teacher Lily Marsh (Samantha Neale) is discovered laid out in a rock pool, the water strewn with flowers. Vera must work quickly to find the killer who is making art out of death. Clues are slow to emerge from those who had known Luke and Lily, but Vera soon finds herself drawn towards a curious group of friends who discovered Lily's body. As local residents are forced to share their private lives and those of their loved ones, sinister secrets are slowly unearthed. And all the while the killer remains in their midst, waiting for an opportunity to prepare another beautiful, watery grave. VERA also stars Wunmi Mosaku as DC Holly, Paul Ritter as a Forensic Pathologist Billy Cartwright, Juliet Aubrey and Murray Head as Peter and Felicity Calvert, Patrick Toomey as Samuel Parr, Paul Higgins as Clive Stringer and Colin Conway as Davy Sharp. Filming for the 120 minute drama was shot on location in Newcastle and Northumberland. VERA is a compelling, character driven crime drama. The script, which is based on the book Hidden Depths, has been adapted by Paul Rutman who has written for Marple and Lewis. Join authors R J Ellory and Sophie Hannah as they demystify crime writing and put you on the straight and narrow as to what is the best when it comes to crime writing! Bloomsbury House, 74-77 Great Russell Street, London, WC1B 3DA. £425 inc. artisan lunch (includes VAT). In 1962, with the publication of PD James’s Cover Her Face, Faber solidified its reputation for the very best in crime writing. In 2011, the Faber Academy is continuing to build on that reputation, but in a different way. Writing Wrongs: A Hands-on Guide to Writing Contemporary Crime presents a unique opportunity to new and aspiring writers to join RJ ELLORY and guest tutor SOPHIE HANNAH here at the Faber offices for a weekend of plotting, pace and character. This intensive course is designed to strip away the mysteries attendant to the genre, and identify the real reasons that crime fictions works, or doesn’t. Additionally, there will be chance to discuss your individual projects in the course, and to address any specific areas of difficulty you might be facing whilst writing your novel, with focus on practical, realistic, honest answers to those commonly, and not-so-commonly asked questions. So, if you haven’t written before or are about to embark upon your first crime novel and want to know where to begin, or you have half a dozen completed works and need advice on how best to secure an agent, then this course is for you. In celebration of Writing Wrongs at the Faber Academy, we are offering the opportunity to win a bundle of 5 PD James books, including the fantastic ‘Talking About Detective Fiction’. To win, all you have to do is to tweet us (twitter.com/faberacademy) with the best first line of a crime story you can come up with, using the hashtag #writingwrongs. The best entry received by Faber noon on Friday 11th March wins!